Hiring non-family members for senior positions involves more than assessing candidates’ leadership qualities and track records. Your new hire must also fit in with your family business culture and values. How do you find the right match? How many other CEOs of industry-leading global companies with more than 4,000 employees would attend a pizza party at the home of the chairman’s second cousin? Gicela says Jahnke’s presence at the gathering was right in line with Elkay’s culture. Glenn, Gicela and Jahnke all serve on a committee working on a history book to commemorate the 2020 centennial of Elkay. “We are one big family,” Gicela says. Because family business owners have such strong emotional ties to their companies, corporate culture is something they take seriously — and personally. When recruiting senior executives, family businesses seek candidates who not only have demonstrated leadership capabilities but also will promote and perpetuate the culture. Recruiting firm Egon Zehnder, in partnership with the Family Business Network International, interviewed key family members and non-family executives at 50 family firms from around the world with revenues exceeding €500 million. “When we reviewed the transcripts of our interviews, we found a 95% overlap in the language that each firm’s family members and nonfamily executives used to describe their corporate ethos,” Egon Zehnder’s Claudio Fernández-Aráoz, Sonny Iqbal and Jörg Ritter wrote in Harvard Business Review in April 2015. John Baumann took over in 2016 as CEO of Dayton, Ohio-based Midmark Corporation, a family-controlled global manufacturer and supplier of healthcare products, equipment and diagnostic software. He succeeded Anne Eiting Klamar, a fourth-generation family member. Klamar, now chair of the board of directors, says values congruence was an essential factor in the decision to hand the reins to Baumann. “It’s incumbent upon the [non-family] executive to understand what the family needs and what the business means to the family,” says Sharyl Gardner, Midmark’s chief administrative officer and secretary for the board of directors. Gardner, a non-family member, started at Midmark as vice president of human resources and today oversees HR and leadership development and training as well as a variety of other areas at the company. “In a family business, it’s like the family is writing a check” to fund major budget items, she says. The Eiting family holds the largest block of shares in Midmark; there are some additional shareholders outside the family. At Elkay, one of the company values is “We’re in business forever.” That means Elkay’s business decisions center on a long-term vision, even if the choices are painful in the near term, explains Larry Brand, non-family vice president and chief human resources officer. “That’s a huge differentiator from what you face in public companies,” where quarterly or annual results are paramount, he says. In the early 1990s, American Textile’s revenues increased more than 40-fold, and the number of employees grew from 90 to more than 1,000. Third-generation member Lance Ruttenberg succeeded Ouellette as CEO in December 2013. When the company was just a small business, “we never talked about culture or what we stood for,” says Ouellette, who joined American Textile in 1976. Once the family decides to bring a non-family executive aboard, how can they assess candidates’ cultural fit (or lack thereof)? Behavioral interview questions, aimed at discovering how candidates acted in specific situations, can help predict whether their instincts are in alignment with the family mores. The success of a top non-family executive in a family business depends on mutual trust between the executive and the family. How is trust achieved and maintained? • The family speaks with one voice. 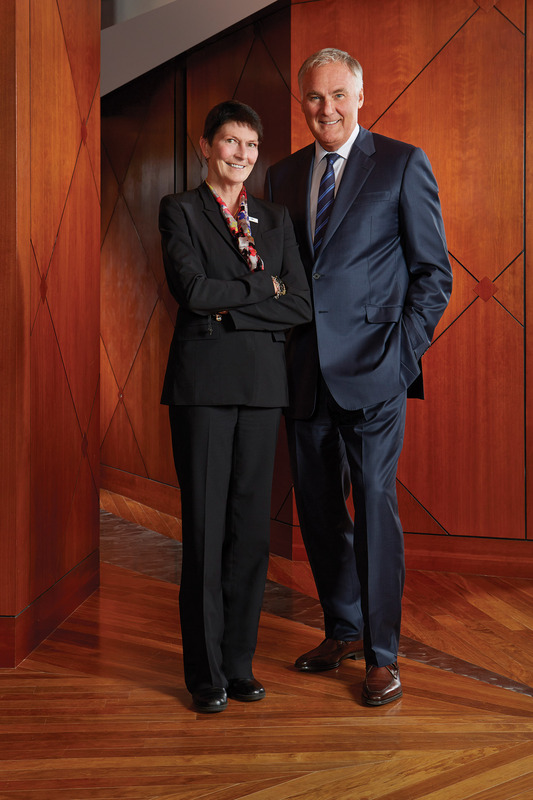 Anne Eiting Klamar, fourth-generation chair of the board of directors at Dayton, Ohio-based Midmark Corporation, says “clarity and consistency of communication” between the family ownership group and non-family executives is key to building trust. • Boundaries are set and respected. Family members must respect the chain of command and let non-family executives do their jobs without interference. Boundary issues are particularly likely to arise when a non-family CEO succeeds a family member, who assumes the role of chairman. Linda Doyle, an independent director on Midmark’s board, recommends creating “decision rules” to clarify which decisions fall under the purview of the CEO and which will be made by the chairman. Non-family member John Baumann took on the CEO role at Midmark in 2016. Klamar, who had been CEO, became the chairperson. • The family always does the right thing. 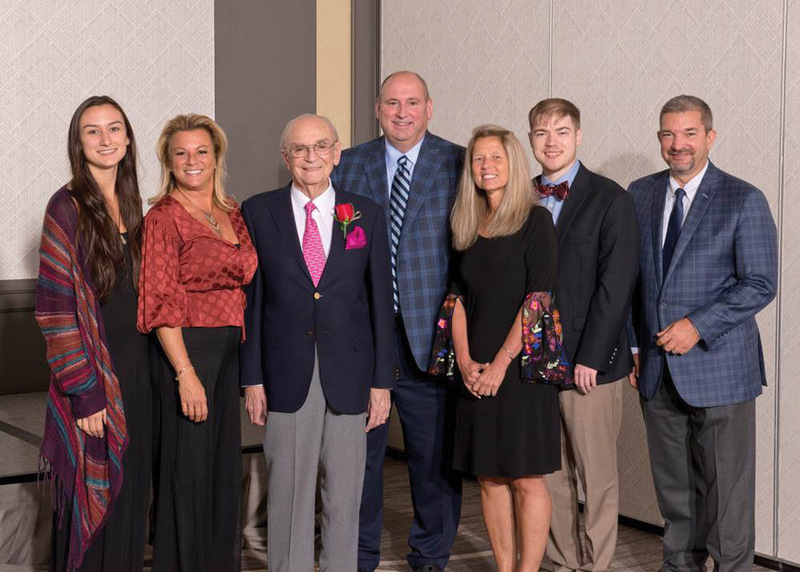 “The family must be known for always doing the right thing, even if it’s painful for the family,” says Jack Ouellette, the non-family executive chairman and former CEO at American Textile Company, based in Duquesne, Pa.
Board meetings present a good opportunity for executives and family directors to build understanding. “Trust comes from having a family seat on the board,” says April Katz, a fifth-generation director of Elkay. Laura Gicela, a fourth-generation family member who works in the company as Elkay’s family employee engagement liaison, attends board meetings as a guest. Family employees who attend board meetings “know what’s going on at a lower detail level,” Gicela says. When executives present to the board, “we’re kind of keeping everybody in check.” An executive wouldn’t give a rosy presentation about a struggling program in front of family employees who know the real story, she explains. • The executive remembers they’re not family. No matter how high a position a non-family executive holds in the family business, “they never should present themselves as if they were equal to family,” says Ouellette. “To be successful as a non-family executive, I think it’s important to always remember that at some point, family will win over non-family,” Ouellette says. “I can’t define that point. And in many instances, it may not come on your watch. In addition to learning about candidates through behavioral interviewing, “We also can get a pretty good feeling when we tell them our values and get their reaction,” Ouellette says. Such strategies, however, aren’t foolproof. Klamar recalls a Midmark hire who, along with his spouse, responded with “all the right words” in conversations about values. But after the executive had been on the job a few years, he took an action that violated Midmark’s values. “A choice was made of money over people and doing the right thing,” Klamar says. Top non-family candidates use the interview process to determine whether the company culture is in line with their career goals. • Would young family members be working under my ­direction? Ouellette says candidates are wondering if there is uniform buy-in to the culture and if family members are held to the same culture compliance standards as non-family members. Candidates need information from the hiring organization not only about the family culture, but also about their vision for the business, Pendergast says. One candidate she’s worked with had been happily employed at a family business for only a year when the company was sold. He was apprehensive about facing a similar situation if he joined another family firm. Pendergast says families should be clear about what they mean when they say they are committed to their business for the long term. Do they mean they are committed to their operating company, or are they simply committed to being in business together as a family? Prospective non-family CEOs should understand whether the family shareholder group is engaged or disengaged, Pendergast says. In a less engaged family, the CEO has “an important shareholder relations function,” developing ways to communicate with family owners so they understand what’s going on in the business. Brand, who joined Elkay in 2016, recalls that during the interview process, “I probably met over a dozen people.” He estimates that before he met with Elkay’s chairman, Ron Katz, he had spent 20 to 22 hours in interviews. Self-aware candidates who become frustrated by such a lengthy interview process will likely recognize that the job is not a good fit for them, Brand says. Candidates for executive posts at Midmark are taken to Versailles, Ohio (2016 population: 2,608), where the company was based until 2013 and still maintains its largest facility. Candidates’ reactions to what they encounter in Versailles, and the questions they ask, provide insight into whether they would fit into the Midmark culture, Gardner says. It’s incumbent upon the family ownership group to do its governance work before the hiring process begins, to ensure all family members agree on the company mission, vision and values as well as their goals and expectations for the business. Klamar says her family engaged a consultant and began working on governance two years before non-family member John Baumann succeeded her as CEO. At first, those efforts seemed frivolous, she recalls. Her brother and sister both work at Midmark. “ ‘Why do we have to waste time articulating mission, vision, values?’ ” she remembers thinking. “ ‘We know them, we all work in the company. This should be really easy.’ Well, guess what? It wasn’t. The change from a family to a non-family CEO is a huge step for an organization, and few families realize all the ramifications until the evolution is imminent. Baumann has approached the family for answers to questions they hadn’t considered before, Klamar says. “[He] came to me earlier this year and said, ‘I need an Eiting family shareholder group statement of risk. I need to know what levels of debt you might be comfortable with.’ And that was something we had never, as a family, talked about. Good governance helps convince skeptical candidates that the family runs its business professionally, Pendergast says. Families planning to bring on a non-family CEO to succeed a family leader “absolutely” need independent boards, Pendergast says. “Otherwise, you don’t have a good oversight mechanism. You need the infrastructure to support” the dramatic change, she says. Companies increase their odds of choosing the right successor by developing leaders internally. “In a privately held enterprise, the ability to develop internal succession is really important to the future of the business,” Gardner says. Executives now working at the division president level (“P-level”) at Elkay are being groomed for C-suite positions. Family CEOs whose successors are likely to be non-family members should start five years in advance of their retirement date by bringing in executives to serve in developmental positions such as division president, Pendergast says. “People can say anything in an interview, but it’s watching them under fire, under pressure, when values are called into question — that’s when the rubber really meets the road,” Klamar notes. 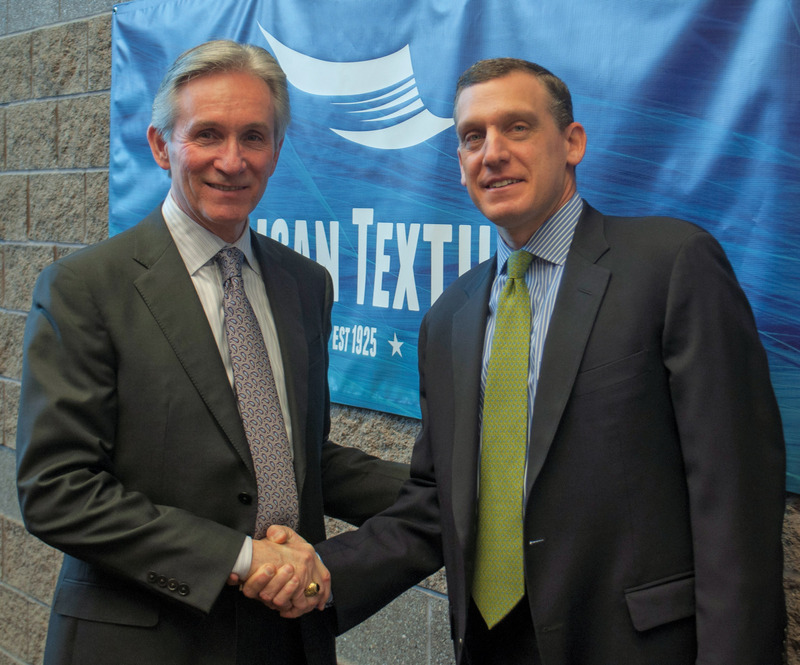 Baumann joined Midmark as an independent director in 2009 and became chairman of the company’s board in 2013. When he was named CEO in 2016, Klamar took on the chairman’s role. Before Baumann was named chairman in 2013, Klamar recalls, she spent several months considering what each director would bring to the culture if they were elevated to board chair.